Why would your business choose to play beach volleyball as a corporate event? 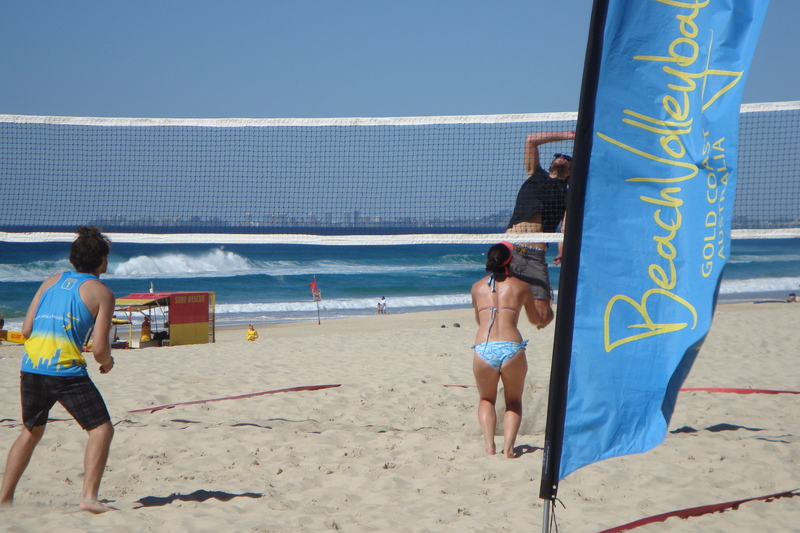 Beach Volleyball is an exciting way to spend your next corporate event! With the ease of the game style, people of all ages can enjoy this great experience! With the outdoor atmosphere and the waves lapping in the background, your business can experience something fun and different for your next event! We can cater from small groups up to more than 200 people, while offering you many different options and packages! Here are some of our recent corporate activities we have held on the Gold Coast, North QLD and Northern NSW.Here are some of our recent corporate activities we have held on the Gold Coast, North QLD and Northern NSW. Kez Events at Hervey Bay QLD. What a great road trip! One day and back to the Gold Coast!